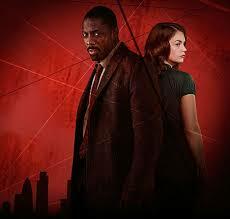 By the time that the television series Luther started on BBC1, I was already keen on Ruth Wilson as an actress but the first episode of the first series – which now ranks as one of my all-time favourite pieces of television ever – confirmed her as one of the most exciting people we have working in this country. 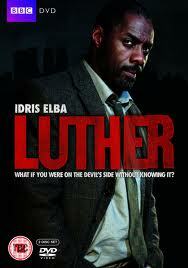 The show is a high-quality detective drama featuring Idris Elba as DCI John Luther, a member of the Serious Crime Unit, whose unconventional and often controversial methods frequently sets him at odds with his colleagues and his estranged wife who end up paying the price for his uncompromising genius. Entirely written and created by Neil Cross, there’s a most pleasing continuous feel to the six-part series which combines a ‘story of the week’ format featuring some extremely gory and plain icky crimes with larger story arcs which build to the shockingly climactic finish of Episode 6. Ruth Wilson stars as research scientist Alice Morgan, who is involved in the former in Episode One but soon turns into the latter as a wonderfully twisted kind of relationship builds between her and Luther. It is hard to say much more without revealing too much for those who haven’t seen it – shame on you if you haven’t, go and watch it now! – but the way in which Wilson slowly subverts our expectations in that first hour is nothing short of superlative, the gradual reveal completely compelling, the way she says the word ‘kooky’ deserves an award category of its own. Around the rest of the show which is anchored by Elba’s stunning performance as the emotionally volatile and combustible lead role, there’s excellent work across the board too. Saskia Reeves as Luther’s boss DS Teller is a complex mix of mother-figure and friend, aware that she needs to give him the free rein to work his own way but constantly struggling to fit that into the confines of modern policing; Indira Varma as estranged wife Zoe brings real pathos to a woman who is still irresistibly drawn to her ex despite knowing how destructive his presence is in her life and having met someone else; and Steven Mackintosh’s DCI Reed, Luther’s best friend, provides an interesting, though unravelling, foil to the way his colleague works. And the show looks amazing, especially for a British police procedural. A visual language has been invented to suggest the different way in which Luther views the world, which often places subjects off-centre in the frame, a simple but highly effective technique. The colour palettes evoke a bleaker world-view that fits the darkness of the storytelling which often treads a questionable moral line. One particularly strong episode features Nicola Walker in excoriating form as a (relatively) innocent bystander of Luther’s provocative methods, the consequences of his roughshod actions having a devastating impact but one which isn’t really explored to its full potential. So a properly good piece of television in its own right, but also one in which Ruth Wilson delivers the kind of exceptional performance that should not be missed on any account.